Still, something isn't right in the Rochester mansion. There are noises—screams—coming from the attic that everyone else claims they can't hear. Then John, the black sheep of the family, returns after getting kicked out of yet another boarding school. Soon Janie finds herself torn between devil-may-care John and fiercely loyal Daniel. Just when she thinks her life can't get any more complicated, she learns the truth about why the Rochesters took her in. They want something from Janie, and she's about to see just how far they'll go to get it. "A clever update of the Brontë classic . . . Fully rounded characters and abundant suspense help Gagnon's novel hold its own amid other contemporary Eyre reimaginings." "Jane Eyre fans will enjoy picking out the commonalities . . . 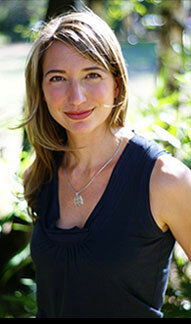 Fate handles her roughly, but like the original Jane, our Janie discovers an inner fortitude. Hand to fans of Lois Duncan-style mysteries." "This fast-paced retelling of Jane Eyre will appeal to fans of contemporary Gothic . . . Pair this with the classic novels Jane Eyre or Daphne du Maurier's Rebecca." "Haunting in the best possible sense, from the first page to the very last twist." 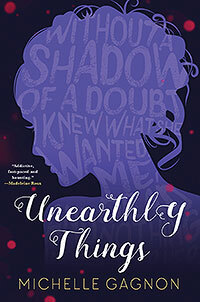 "A page-turning ode to Jane Eyre with a ghostly twist, Michelle Gagnon's Unearthly Things haunts and delights. Orphaned Janie Mason uncovers the awful secrets hidden behind the seemingly perfect high society life of her new guardians, the Rochesters. A deliciously terrifying read with a heroine worthy of Charlotte Brontë's classic."